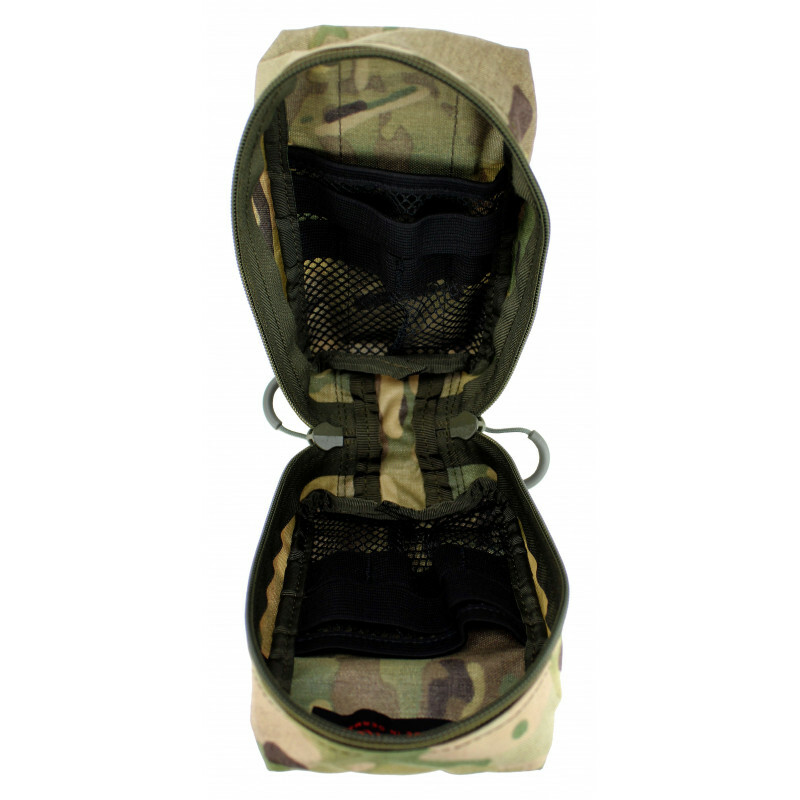 The ZentauroN trauma IFAK is not just a bag, it's a complete concept. 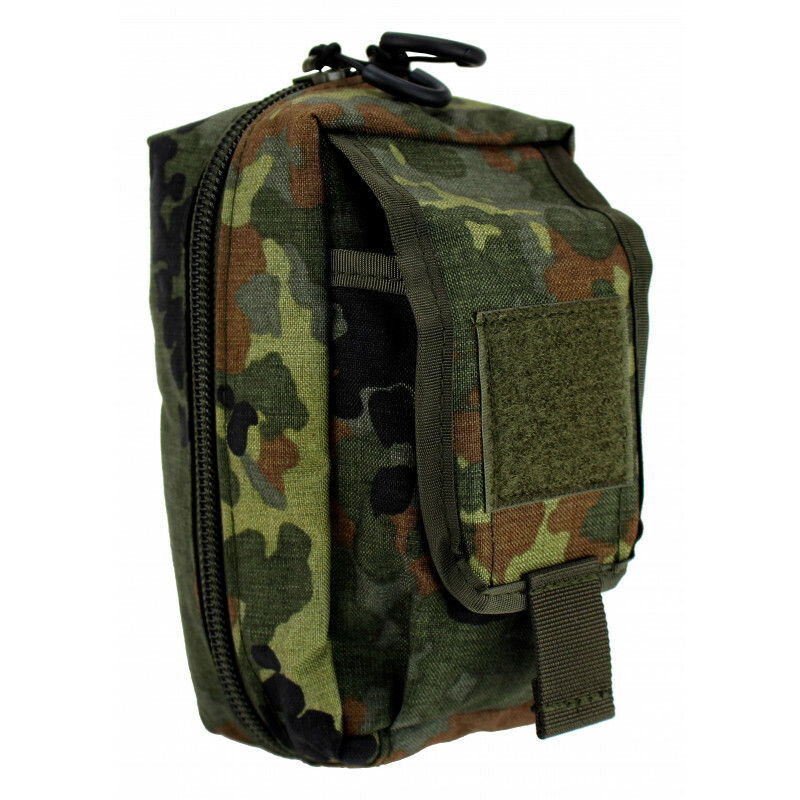 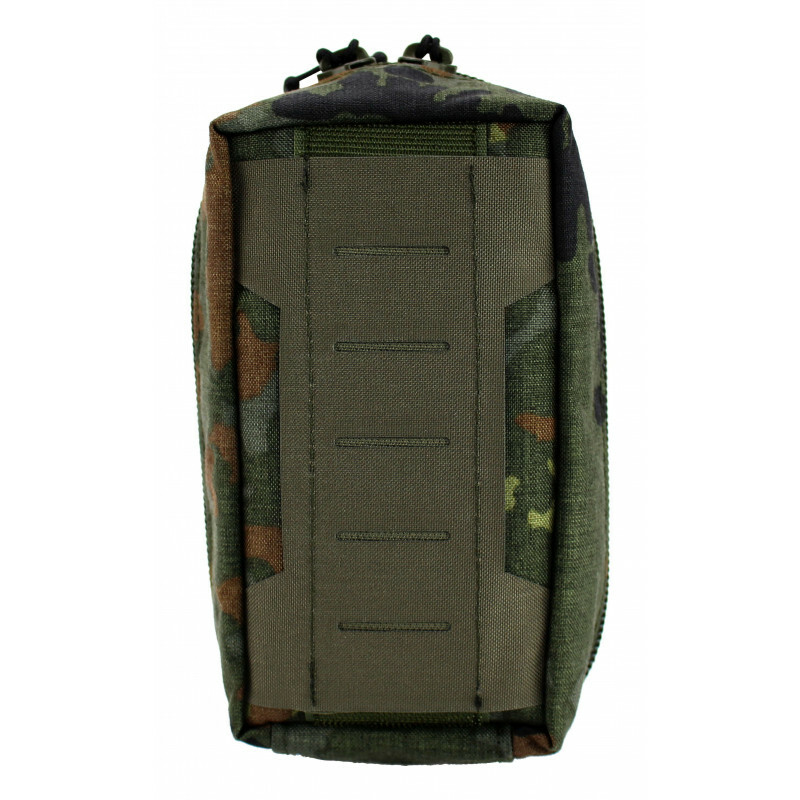 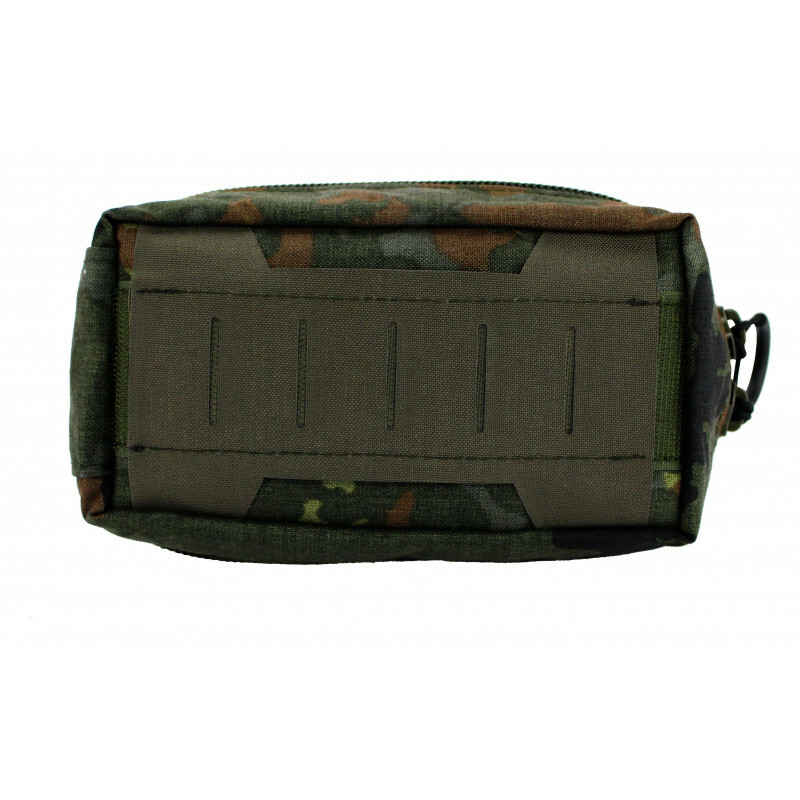 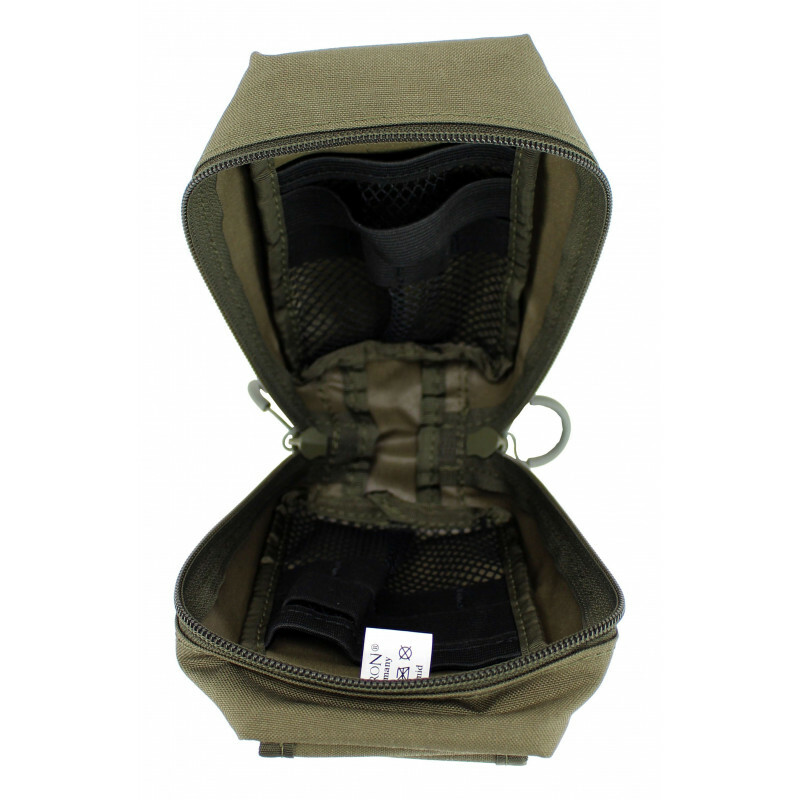 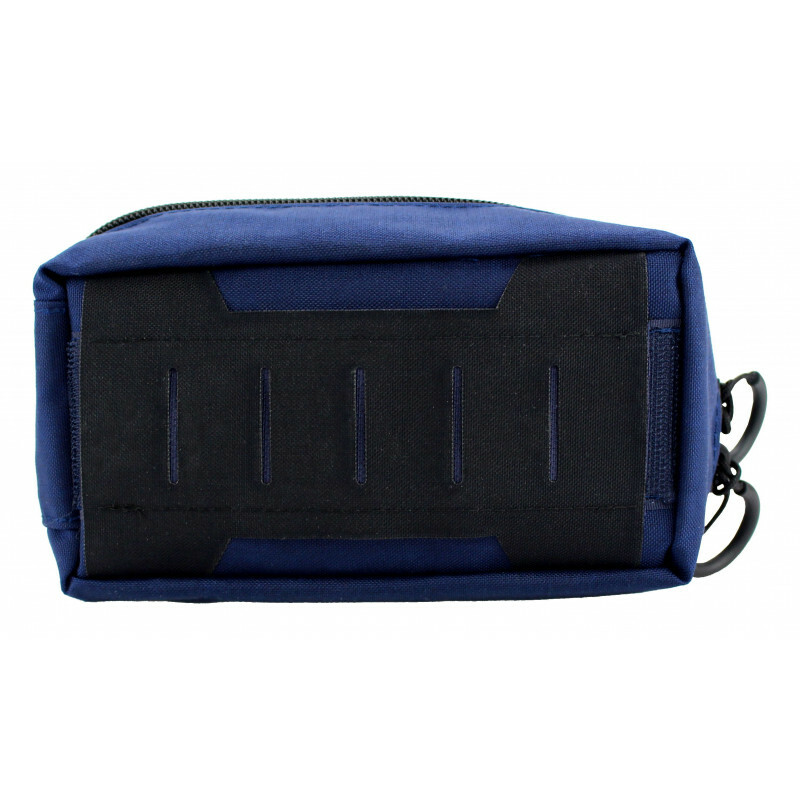 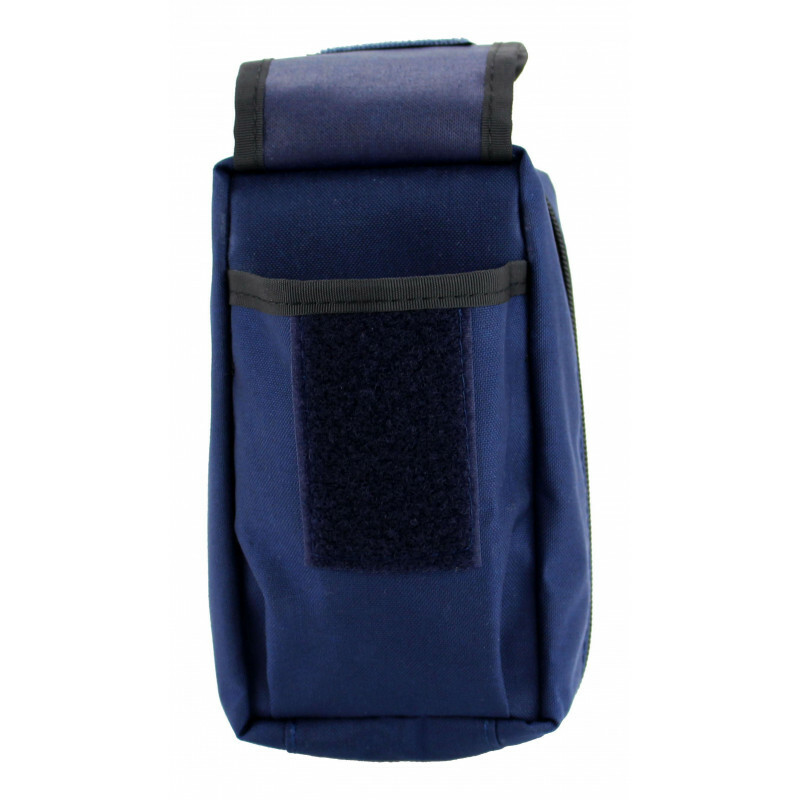 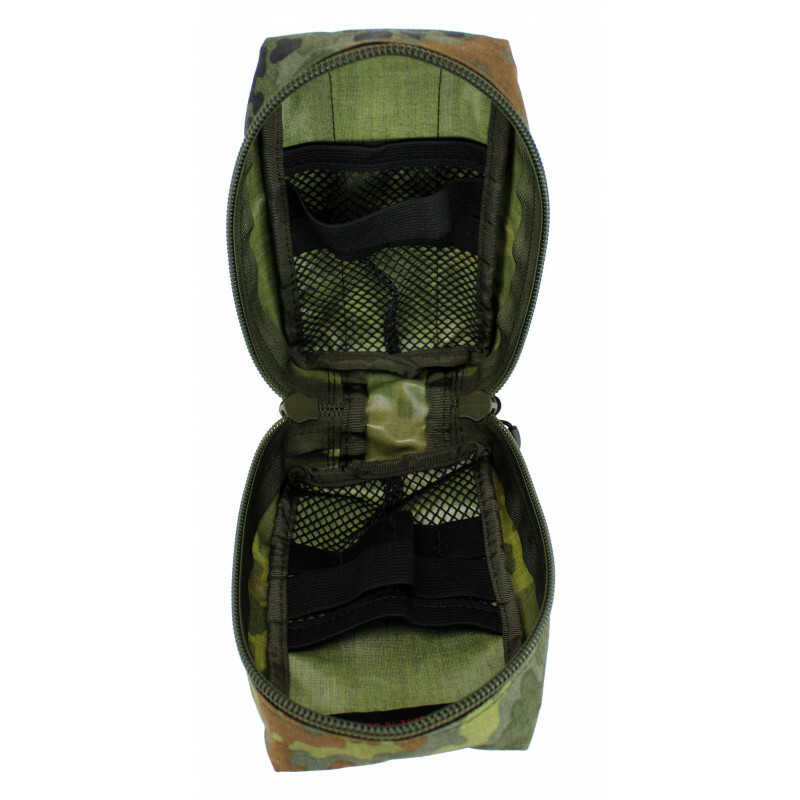 As a small trauma pack together with members of various police and military units and together with the TREMA, the specialist for tactical wound care in Germany, we have developed this pouch system for the treatment of the most serious injuries. 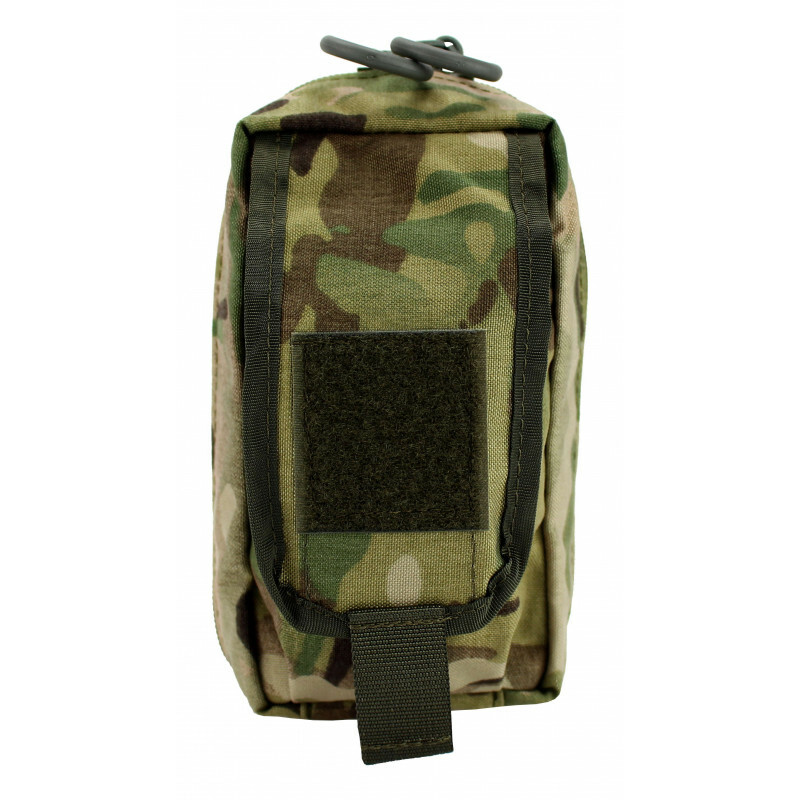 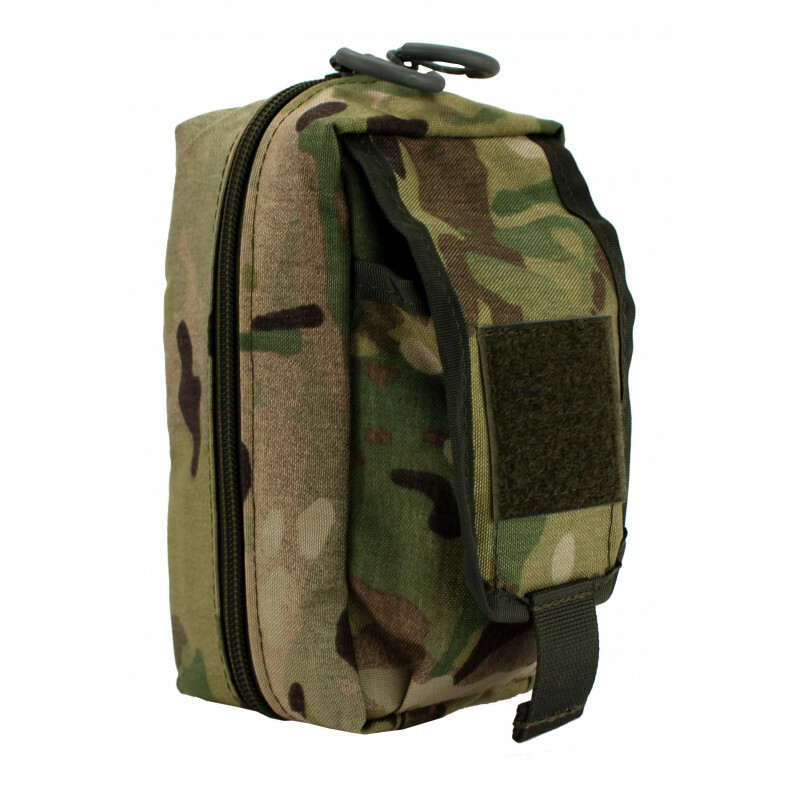 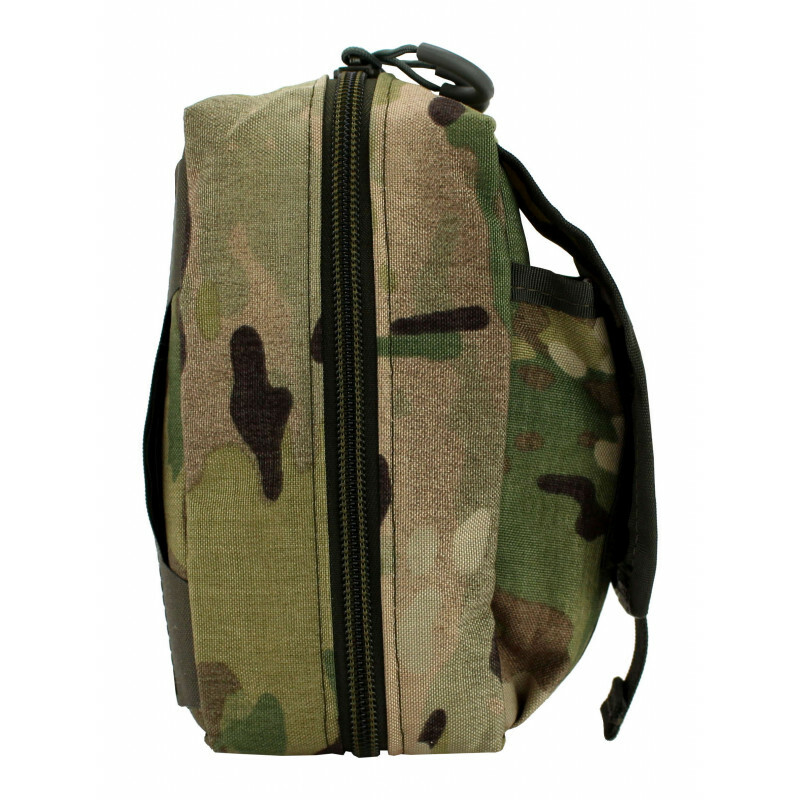 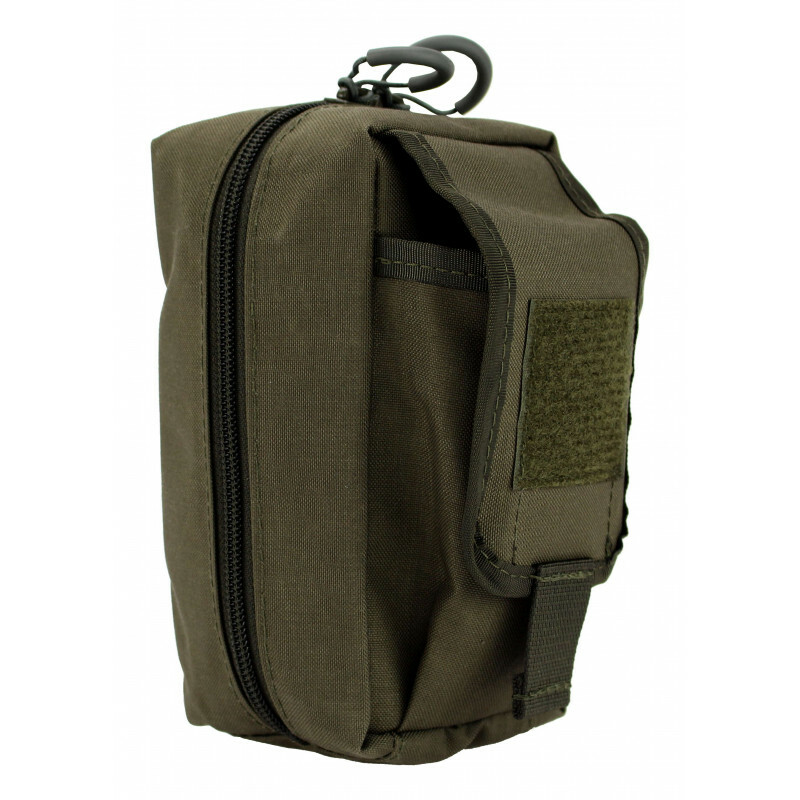 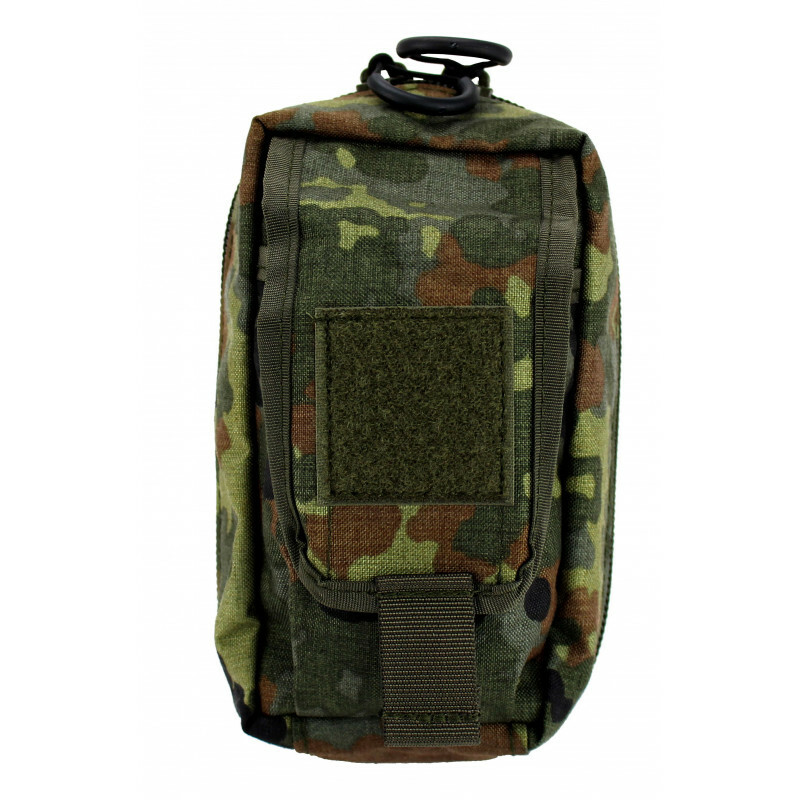 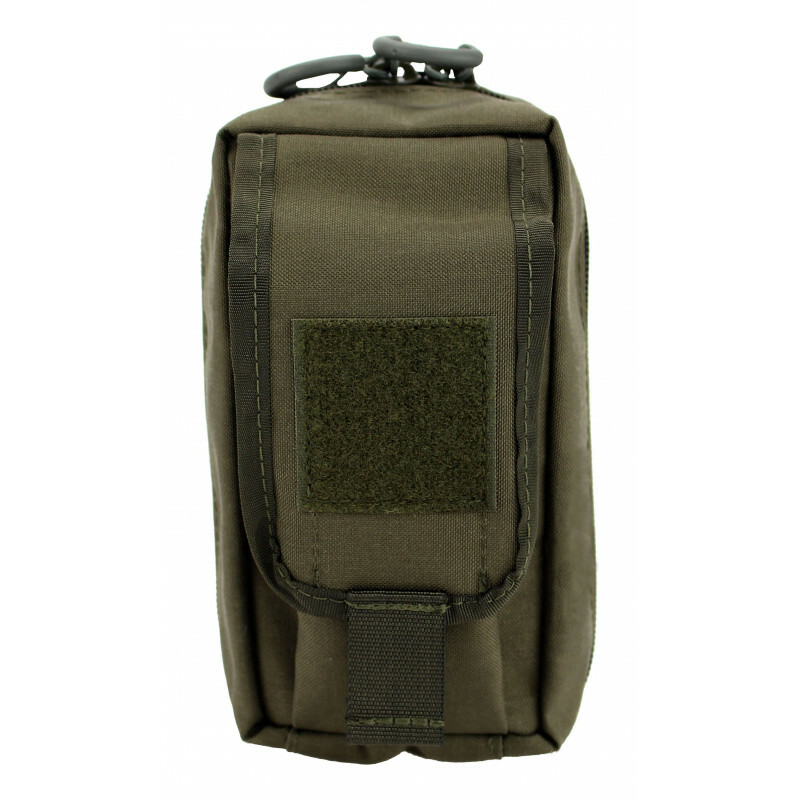 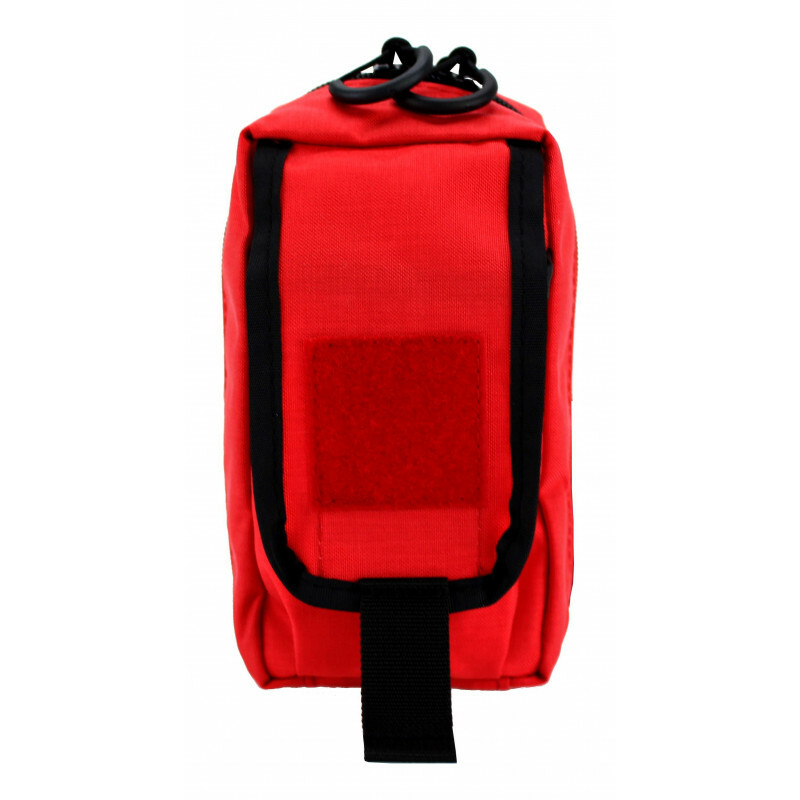 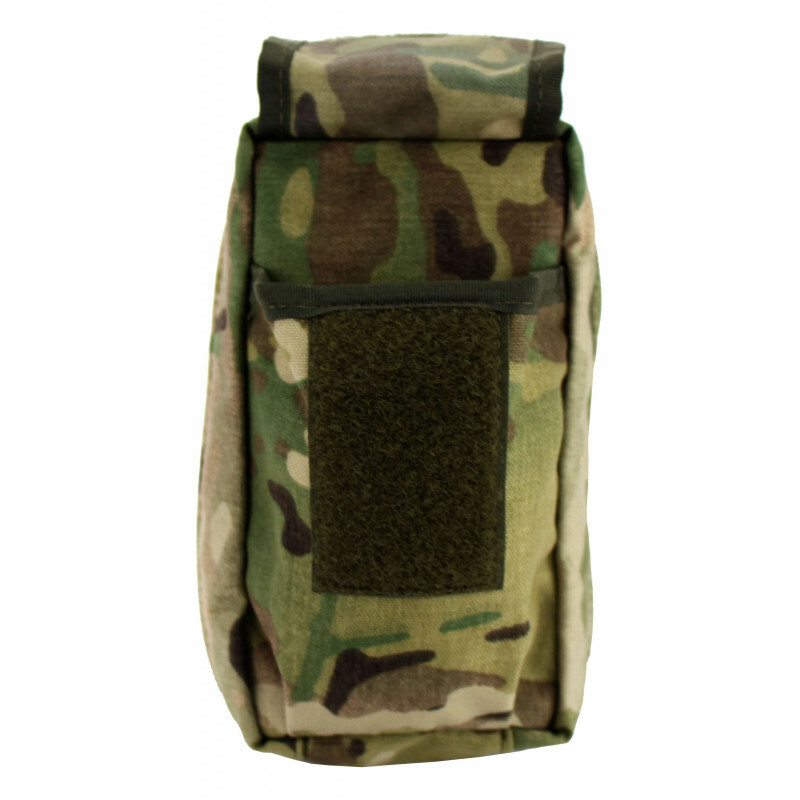 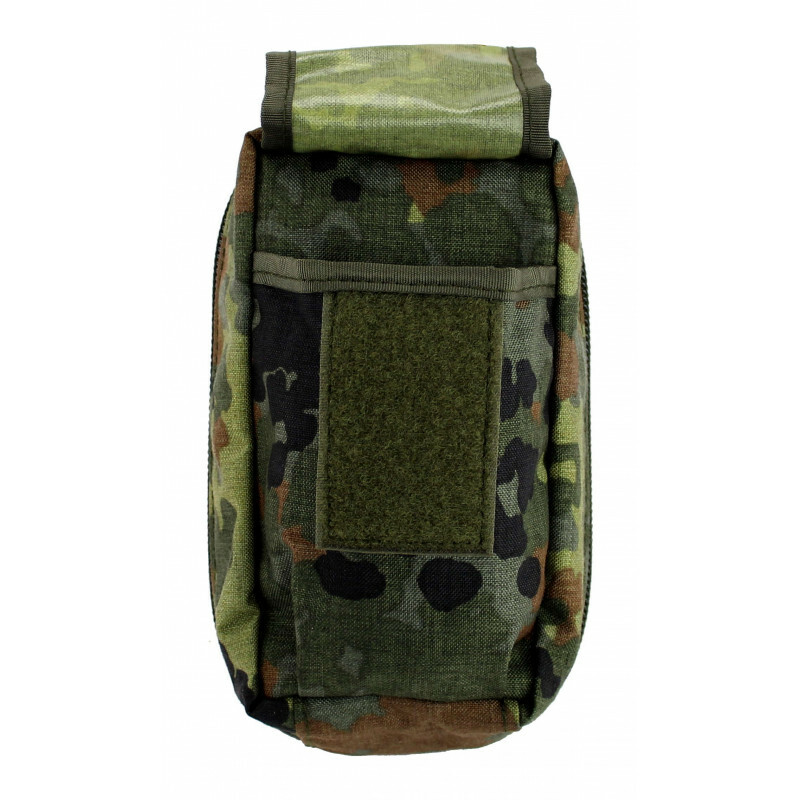 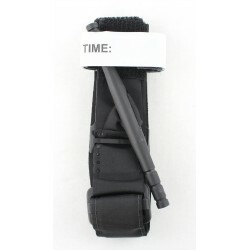 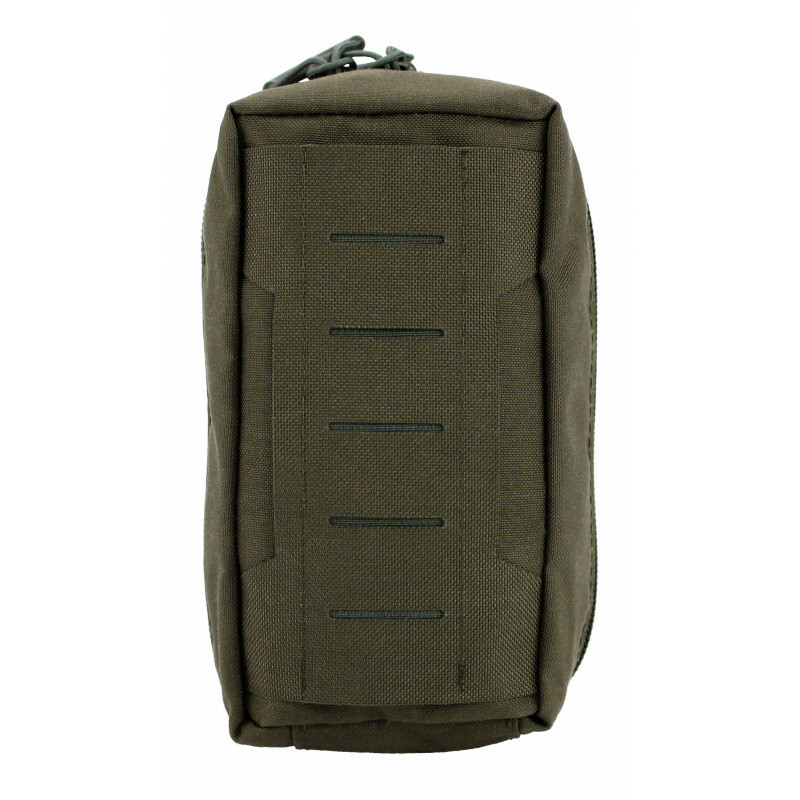 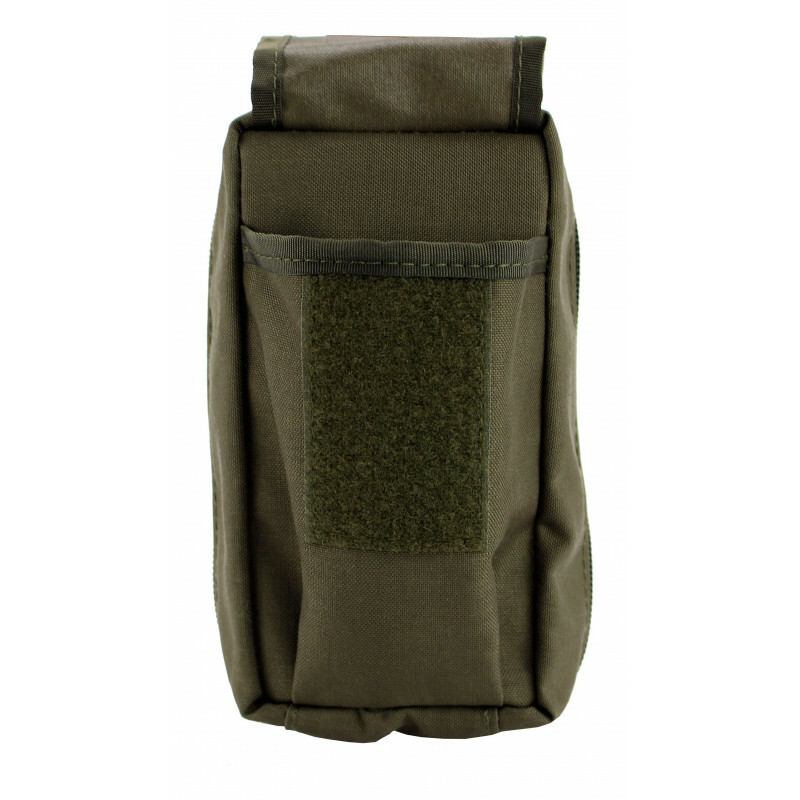 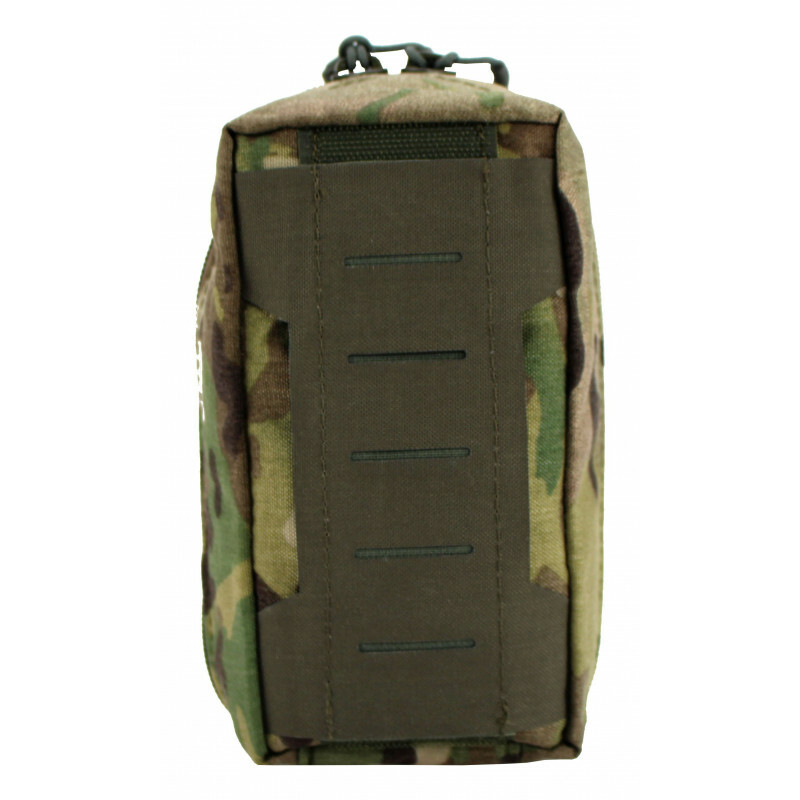 Adapted to the materials of various manufacturers of tourniquets and bandages as well as compliance with the TCCC guidelines, another focus was set on the multiple carrying methods, so that regardless of the authority and use, everyone should have the opportunity to carry this bag. 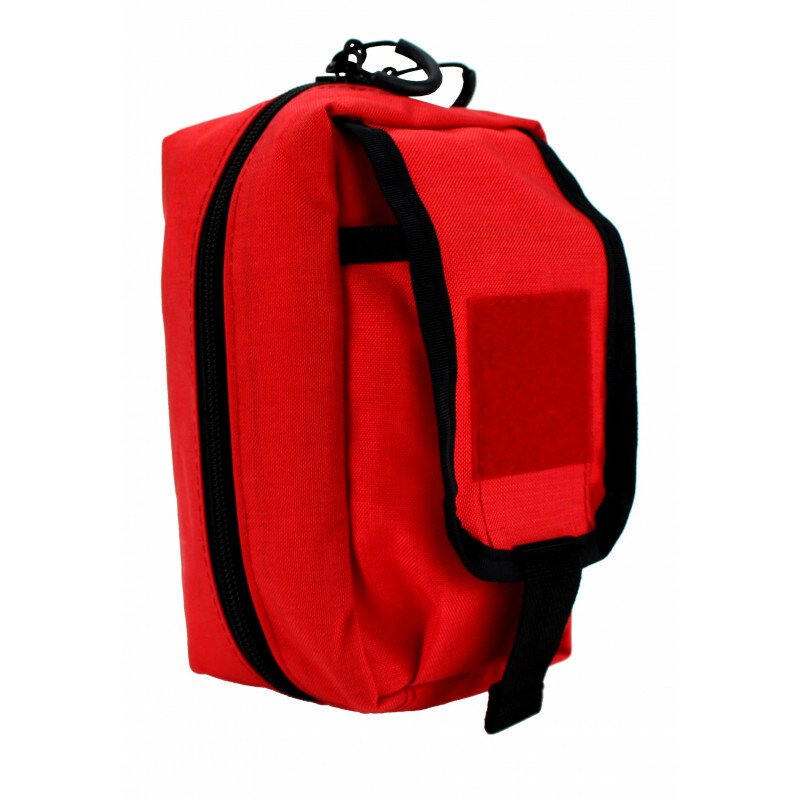 With 12 standard colors and the possibility of additional colors, we have ensured a high acceptance in the field of first aid bags for official use. 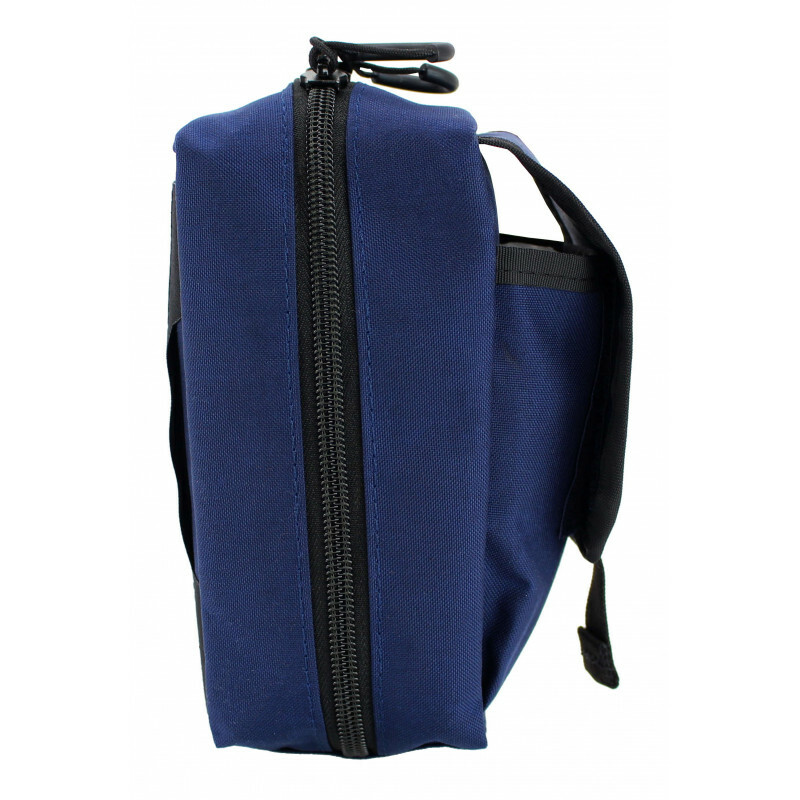 The bag is opened by the large zipper pulls, this works with gloves as well as in one-handed use. 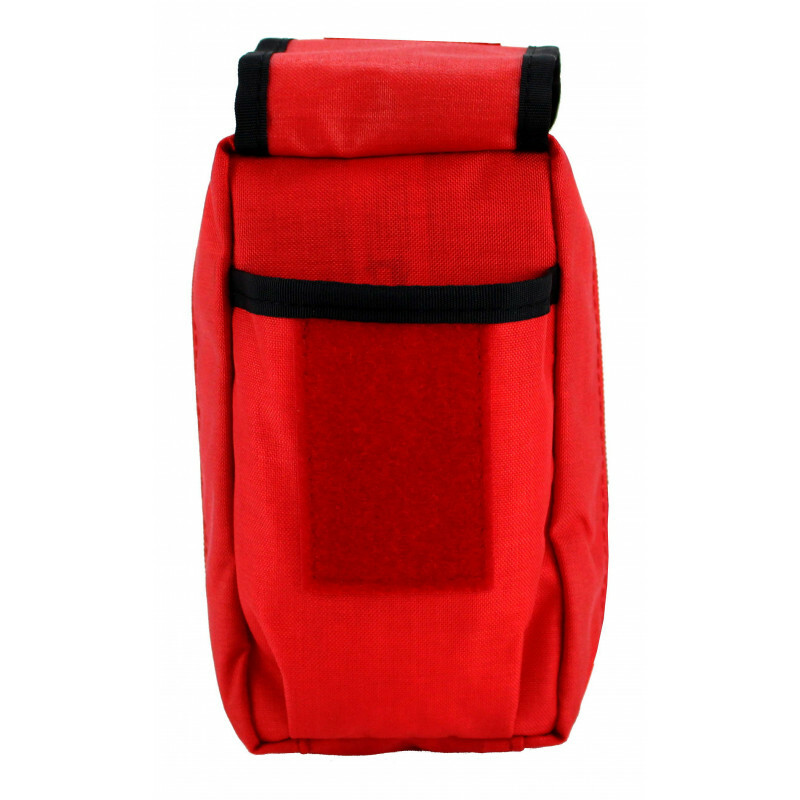 Inside, all types of bandages, triangle cloths, gloves, lamps, tubes, relief needles et cetera, can be safely placed. 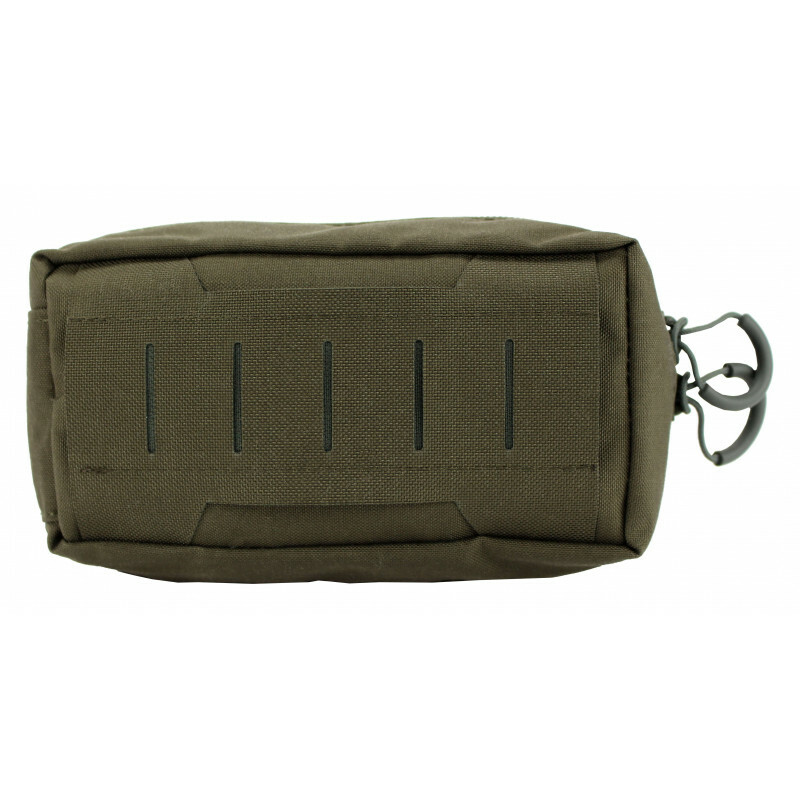 For this purpose, there are two mesh pockets, 2 large and 8 small elastic loops beiing installed. 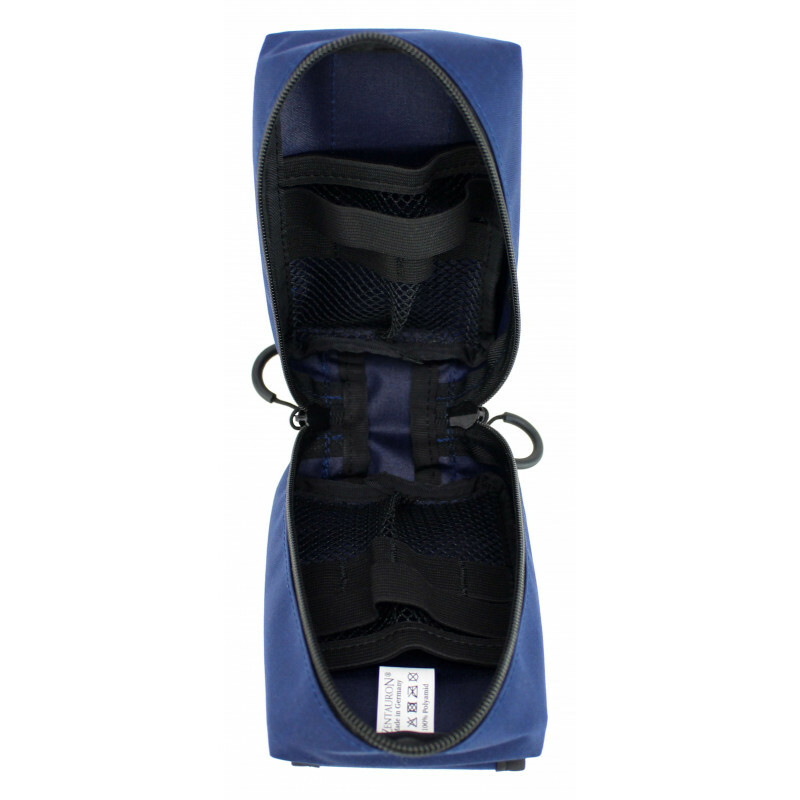 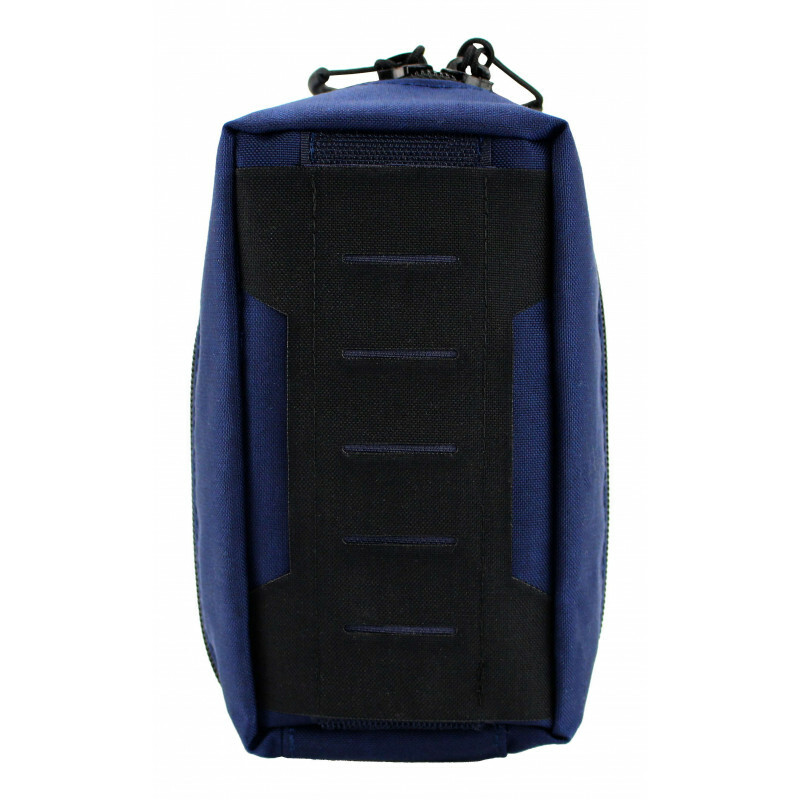 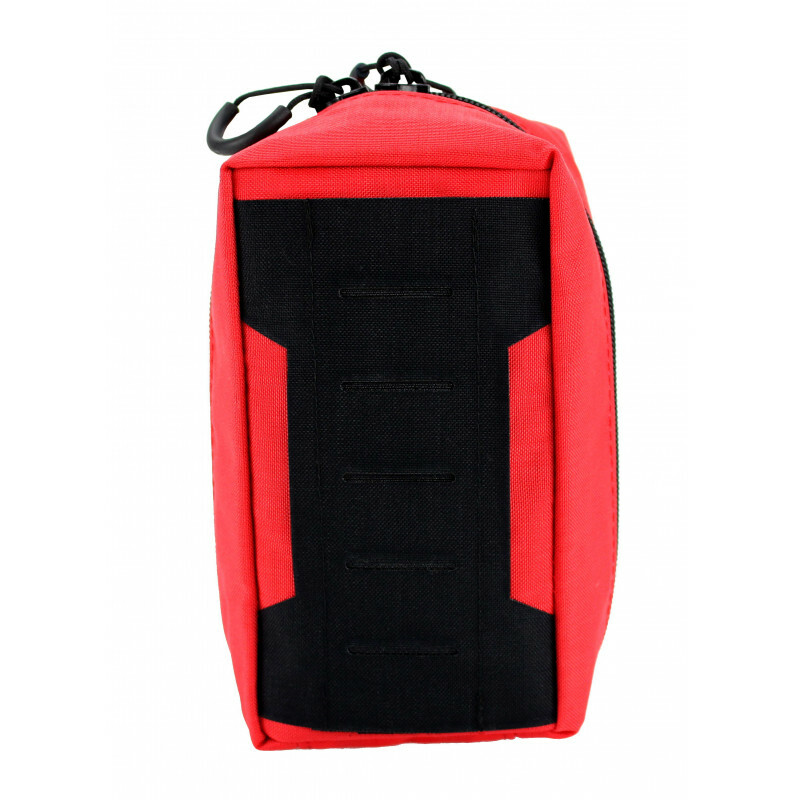 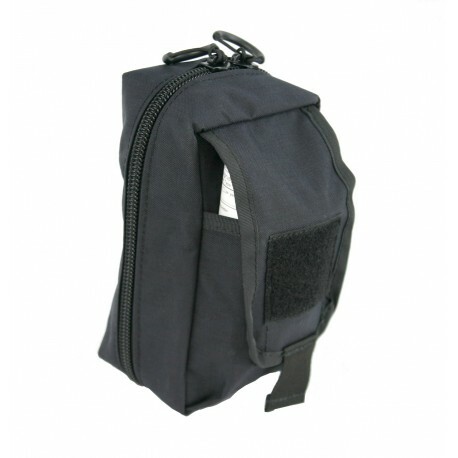 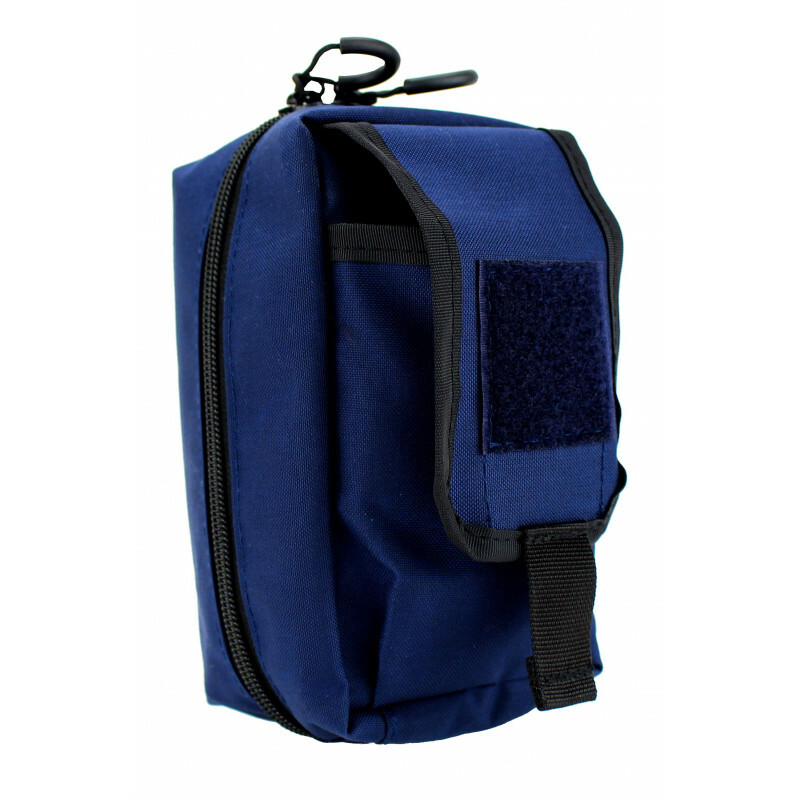 On the outside, a tourniquet pocket with velcro closure is attached, this allows a quick access. 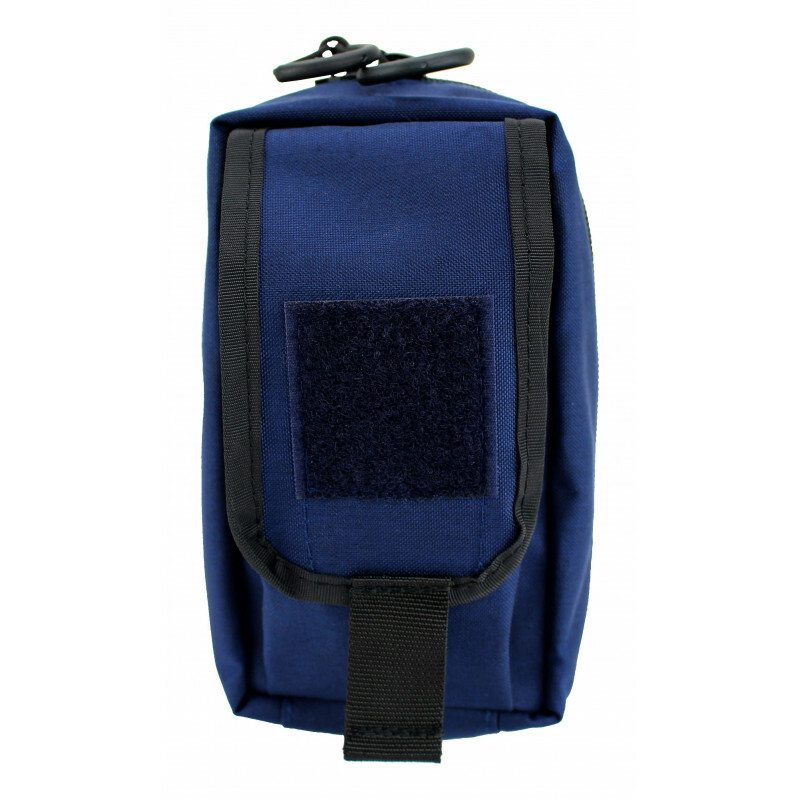 On the lid of the tourniquet pouch is a 5 x 5 cm big fleece-velcro-surface applied to identify the bag. 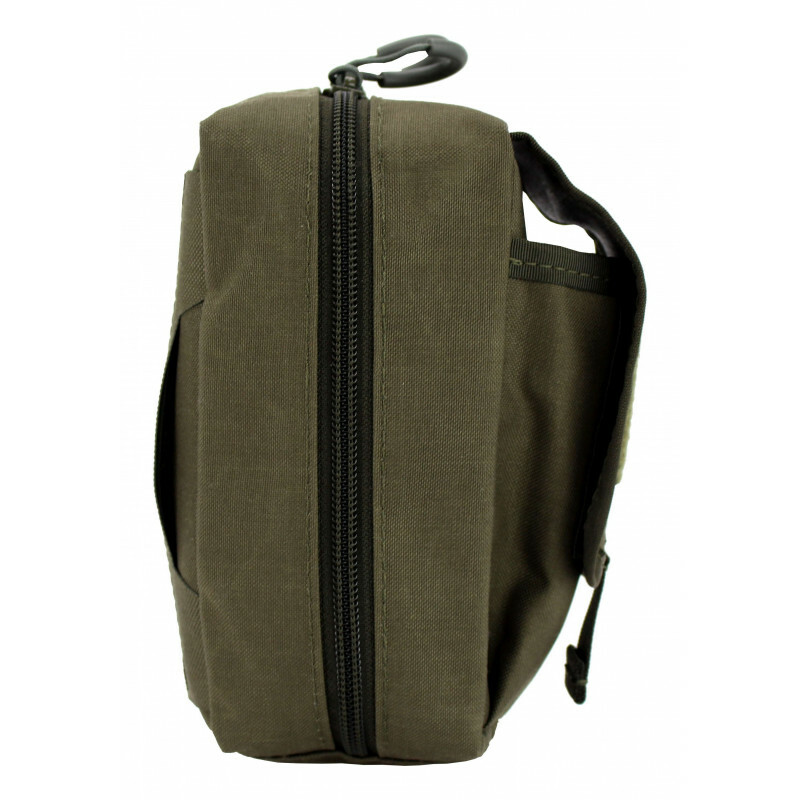 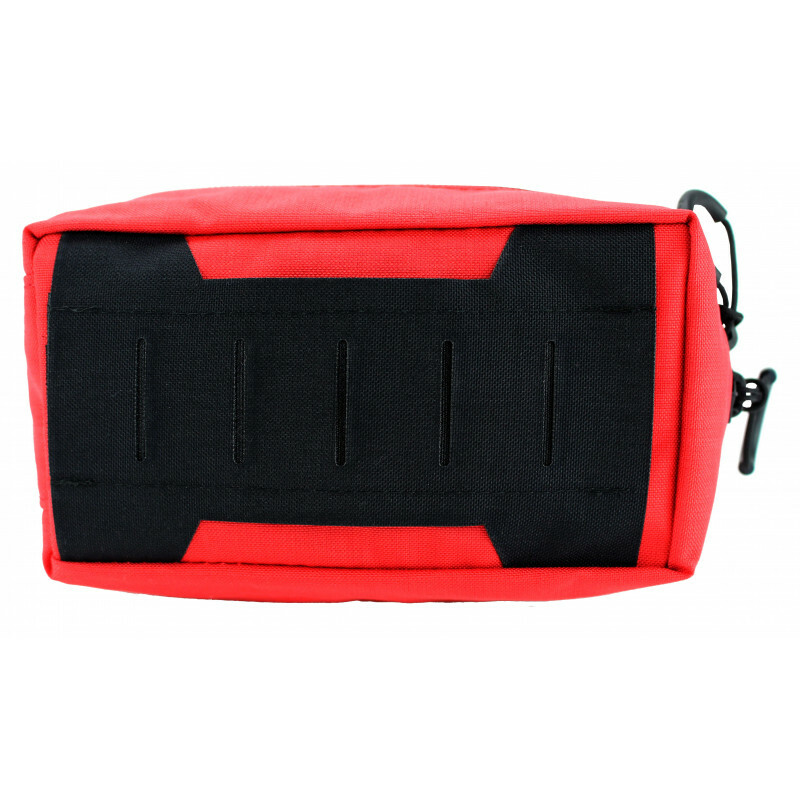 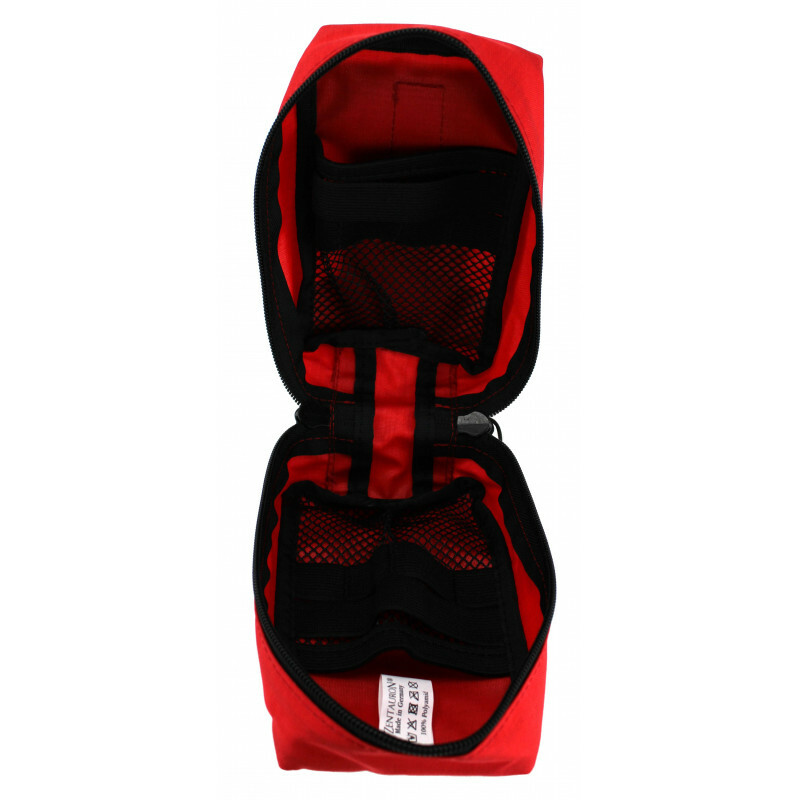 With the belt version, this bag can be fastened upright and transversely to the belt.